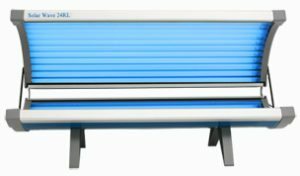 The New Solar Wave 24L tanning beds redefine the tanning industry. 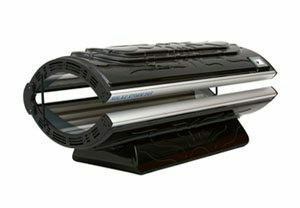 The 24L series offers state of the art tanning performance and industry leading durability. 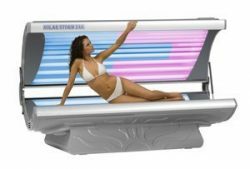 All tanning beds are 110 volts, and are designed for regular household electrical outlets. This means no extra cost for electricians and special wiring. Just take the beds home, plug into a regular wall outlet, and enjoy the relaxation of a warm soothing tanning experience in the privacy of your own home. Extruded aluminum construction provides titanic stability, and allows the WAVE series to offer a 1-year warranty on construction. 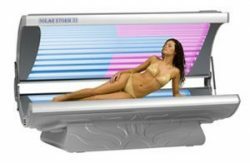 All these features are made available to you by Solar Wave technologies.for the Solar Wave 24RL series for shockingly affordable prices.This cost efficient residential tanning bed is easy on the budget without skimping on high-end features. The SS 24 boasts 24 efficient high-output lamps, high performance acrylic sheets. Extremely durable aluminum frame to ensure a long life with little maintenance. 12 extremely efficient high-output lamps in the bench of the bed. 12 extremely efficient high-output lamps in the canopy of the bed. High-glossed aluminum reflectors for maximum tanning results and efficiency. 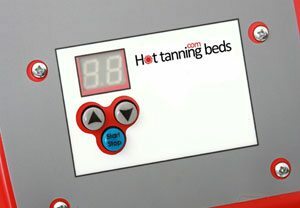 High-performance acrylic sheets maximize the amount of UV light for a darker tan in less time. Delivered 98% preassembled making assembly quick and easy. Standard lifetime warranty covering the frame of the bed.